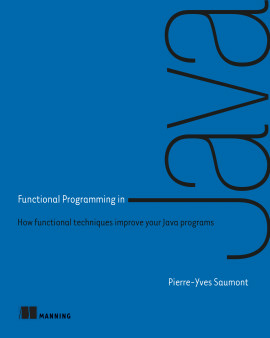 An excellent introduction to functional programming for Java programmers. 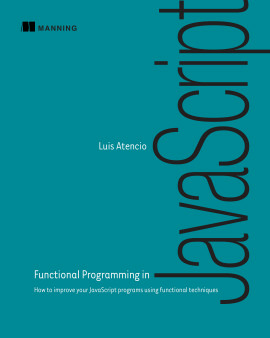 Functional Programming in Java teaches Java developers how to incorporate the most powerful benefits of functional programming into new and existing Java code. You'll learn to think functionally about coding tasks in Java and use FP to make your applications easier to understand, optimize, maintain, and scale. 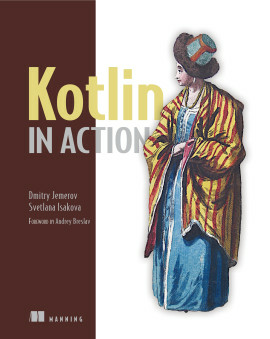 "Really wonderful book for starting FP for a Java Developer." 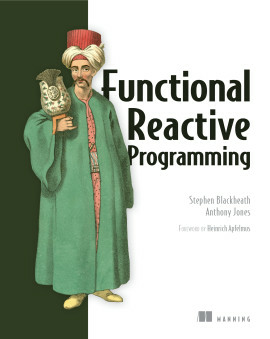 "This is the most detailed book to date about functional programming in Java." 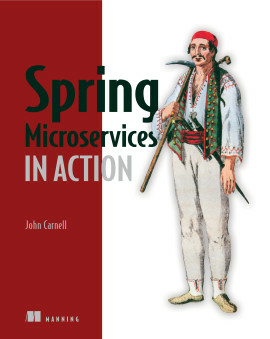 "I haven't seen tutorials or resources that cover FP so deeply and in Java." 1.3. How referential transparency makes programs safer. 2.1. What is a function? 2.3.1. What about functions of several arguments? 9.4. 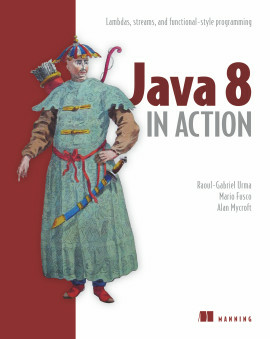 Why not use the Java 8 stream? 10.5.3. Which fold implementation to chose? 13.3.1. How can input/output be made fully functional? C.1.5. 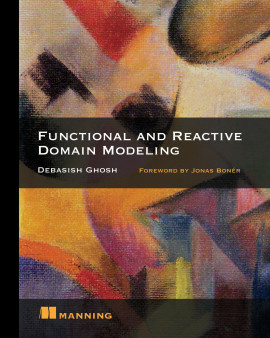 What about dynamically typed functional languages? Here's a bold statement: learn functional programming and you'll be a better Java developer. Fortunately, you don't have to master every aspect of FP to get a big payoff. If you take in a few core principles, you'll see an immediate boost in the scalability, readability, and maintainability of your code. And did we mention that you'll have fewer bugs? Let's get started! Functional Programming in Java teaches you how to incorporate the powerful benefits of functional programming into new and existing Java code. 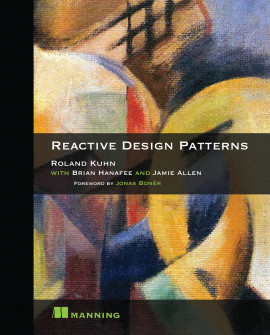 This book uses easy-to-grasp examples, exercises, and illustrations to teach core FP principles such as referential transparency, immutability, persistence, and laziness. 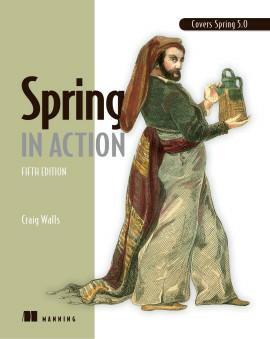 Along the way, you'll discover which of the new functionally inspired features of Java 8 will help you most. 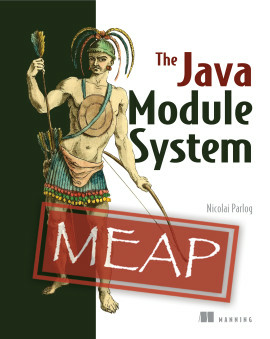 Written for Java developers with no previous FP experience. Pierre-Yves Saumont is a seasoned Java developer with three decades of experience designing and building enterprise software. He is an R&D engineer at Alcatel-Lucent Submarine Networks. 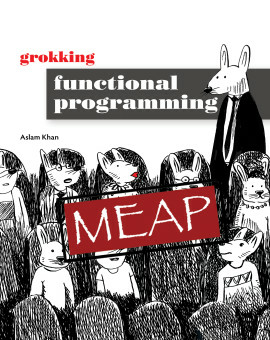 Helped me understand the basic concepts of functional programming. 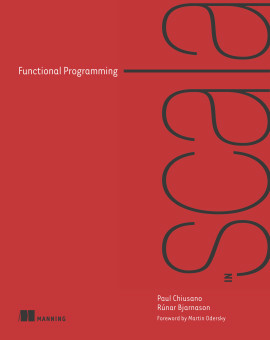 The fundamental concepts and mindset of functional programming explained with the help of a non-esoteric programming language like Java. 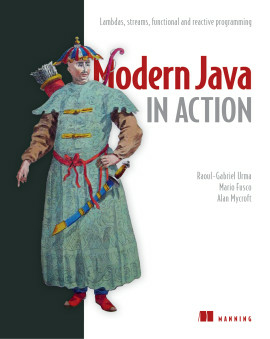 Shows you how to write modern Java code.